Mr Wilkinson was a Lance Corporal in an army infantry regiment between 1969 and 1984. He served several tours of duty in Northern Ireland through the worst of the “troubles”. He now suffers from a form of post-traumatic stress disorder and has ben helped by the charity Combat Stress to start to overcome the problem. 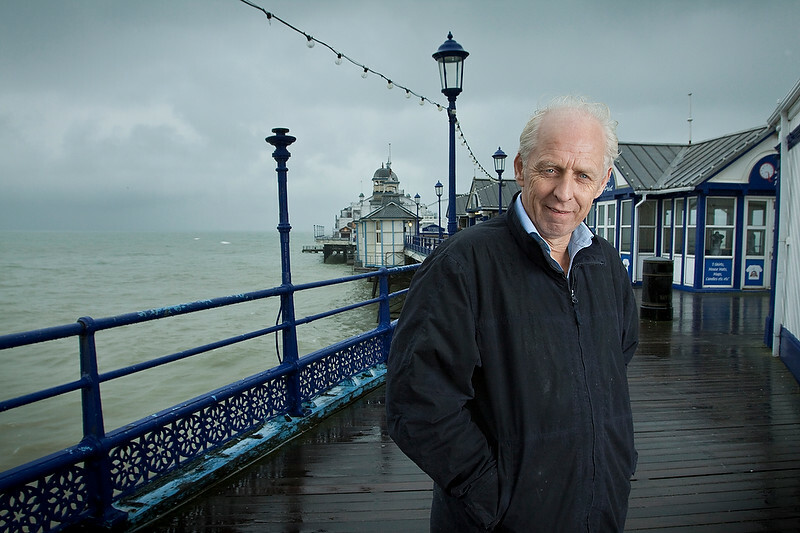 Photographed in high winds and driving rain on Eastbourne Pier for a UK magazine. This picture features some very subtle fill flash from a light bounced off of a very large white painted wall just out of the right hand side of the frame. During the shoot a friend and fellow former soldier was right there providing support for him. This is one of those pictures that felt good to take. All things considered, especially the weather, this is a great shot beautifully lit. Nice. I’ve also worked with Vets at combat stress. It’s a good place.